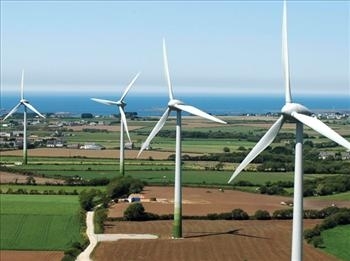 The United States Agency for International Development (USAID) will support Vietnam to develop green energy, said Director of USAID/Vietnam's Environment and Social Development Office Christopher Abrams. Thanks to abundant potentials of solar and wind power, Vietnam continues to become a charming destination for investors. However, in practice, the number of renewable projects has yet caught up with the country’s potentials. According to Director Christopher Abrams, like other countries worldwide, Vietnam has already acknowledged the importance of clean energy especially renewable energy. With an average economic growth rate of 6-7%, power demand would increase about 10-11% by 2030. Hence, it is necessary for Vietnam to seek supplementary energy of which renewable energy should make up increasing proportions. 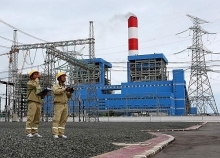 Regarding potentials, Vietnam’s power capacity is about 40 GM. Three years ago, Vietnam produced 10 MW of solar power and 150 MW of wind power. By mid 2019, Vietnam will produce about 2,000 MW of solar power. Solar power development expanded up to 2,000% over the last three years. At present, the country is coping with a challenge of absorbing solar power and adding the energy to the national power grid. 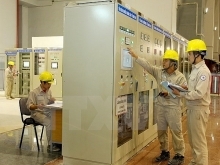 Director Christopher Abrams assessed that Vietnam is struggling to manage constantly changing power sources and transmission system in order to send power to where there is demand. The country is seeking measures to mobilize private resources to build a smart power network while ensuring power security. Mr. Christopher Abrams pledged that the USAID would support Vietnam with technical assistance, especially when the Ministry of Industry and Trade is crafting the eighth power development planning.